I tend to watch a lot of documentaries. Whether the subject is Joan Rivers, Banksy or even a font (2007's Helvetica), I'm usually riveted enough to stay put for the 90 or so minutes it takes for the subject to be analyzed and expounded upon fully. Inspired by the raucous and well-shot flick, here's a list of the better metal-themed docs to be released within the last few years (with an honorable shout-out to Vice's 2007 release, Heavy Metal in Baghdad). With appearances by Slash, Dave Grohl, all of Metallica, Ozzy Osbourne and some guy named Jarvis Cocker, this fun—and appropriately loud—documentary is painstakingly woven together to expose the life of one of rock's most resilient bad-asses. No tales of rehab or finding God here, just sage advice to avoid cocaine in favor of speed for best health, the subtleties of girlfriend swapping with one's grown son, plus an intimate look at Lemmy's home life. It doesn't get any more real than this OG outlaw. Go see it in theaters now, or catch it when it premieres simultaneously on VH1, VH1 Classic and Palladia on Friday, February 11 at 11:30 pm EST. During some scenes in this lovingly captured professional fan film, it's easy to forget that Anvil drummer Robb Reiner, with this thousand-yard stare, isn't a character in the hard 'n heavy version of Waiting For Guffman. 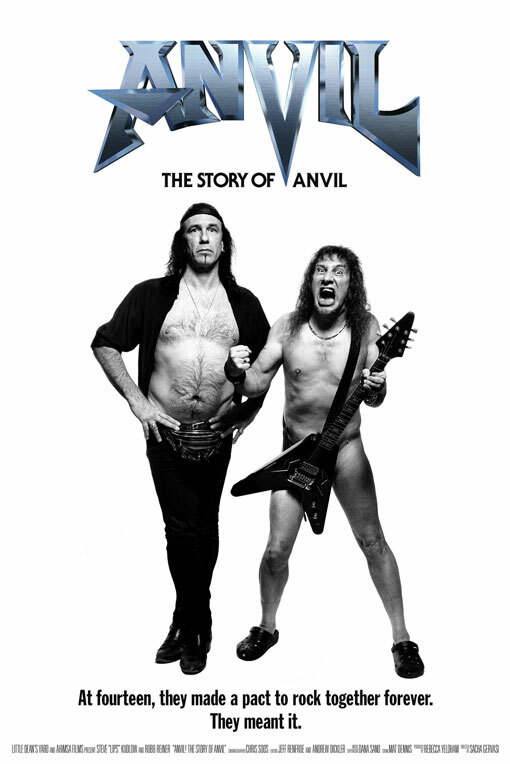 This penetrating tale of a band scraping by merely to exist, juxtaposed against vocalist/singer Steve "Lips" Kudlow's boundless enthusiasm and devotion to Anvil (not to mention his childlike naivety), ultimately pays off with a Cinderella-like ending. By all means, this is the feel-good film of the bunch. 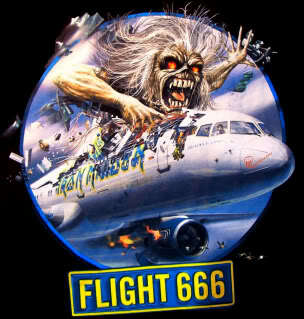 Full disclosure: Iron Maiden is my absolute favorite classic metal band. Therefore, one would REALLY have to eff up for me to disapprove of a doc set against the first leg of their 2008 "Somewhere Back in Time" tour. Flinging to remote parts of the world at the whim of airline pilot and lead vocalist Bruce Dickinson, this glossy and great sounding concert film follows the vets from India to Mexico, Japan to Australia at breakneck speed, exploring the relationship between the icons and their fans. 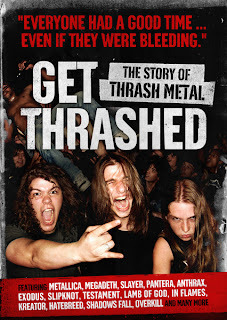 Focusing primarily on the the '80s and '90s American thrash scene, this documentary took on its subject by dividing and conquering one region and sub-sect at a time. Not only did the film touch upon local Brooklyn haunt L'Amour, the Bay Area scene, crossover (Go Sick Of It All, D.R.I. and Leeway! 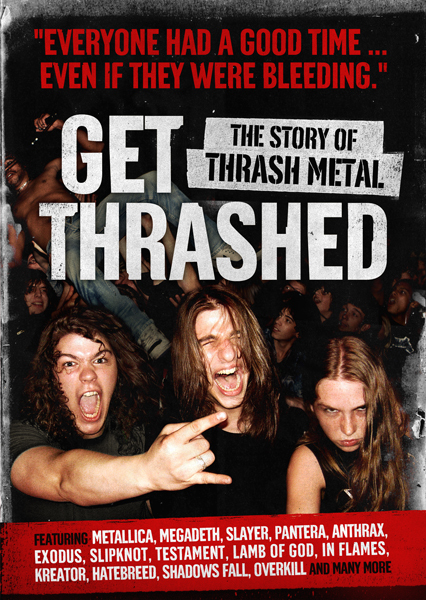 ), it also served up super-size helpings of the Big Four and a segment devoted to Suicidal Tendencies—all before wrapping things up nicely by introducing thrash's post-millennial forebearers. This ode to the Norwegian black metal uprising of the '90s and all the controversial trappings— like church burnings, murder and suicide—that went along with it are laid out plainly here. 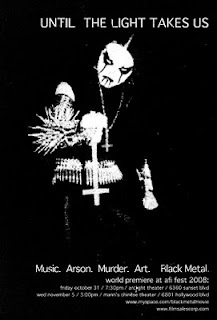 Shot digitally for the same minimalist aesthetic that Darkthrone, Mayhem, and media darling Varg Vikernes (aka Burzum) were striving to capture on their own musical recordings, the story is carried primarily through Fenriz, Darkthrone's drummer, who along with Vikernes, is able to look back on the period with equal parts nostalgia and hindsight.